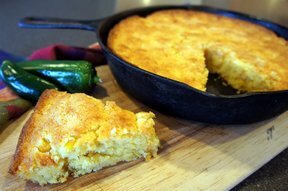 Tasty cornbread. 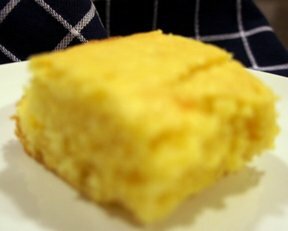 Serve it with butter and syrup to taste just like your grandmas. Preheat the oven for 350. 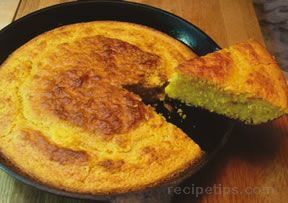 Mix cornbread mix with eggs, milk and sugar until smooth. Add the melted margarine to the mixture and mix well. Pour in a greased 8x10 pan. 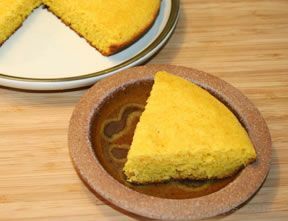 Bake until the top is golden brown and a toothpick inserted in the center of the pan comes out clean, approximately 15-18 minutes.